Plating Color: Silver And Black Occasion: Anniversary, Engagement, Gifts, Wedding, Etc. Material: Usually we make it with 304 stainless steel, but if you need better quality, you can choose 316 or titanium stainless steel. 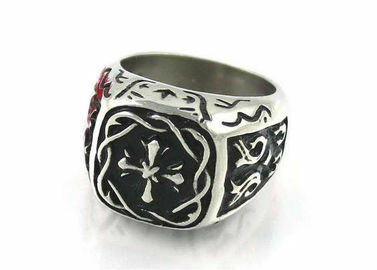 In the middle of the ring, it has a magic cross which is most liked by Christians.